This e-book will provide you with some useful information that will help you fight your New York cell phone ticket. My name is Adam Rosenblum and I am an attorney in private practice who focuses on criminal and traffic violations. I wrote this e-book in response to the overwhelming volume of calls I have received about New York cell phone tickets. When you read the brief history of cell phone tickets in New York (below) you will notice how the laws have gotten increasingly strict and watching the trends I can tell you that more and more of these tickets are being written as time goes on. In the summer of 2011, cell phone tickets went up from 2 points to 3 points. In the summer of 2013, cell phone tickets went up from 3 points to 5 points. In addition, special license suspension rules were put into effect for junior or probationary driver’s license holders. Without going into the specific reasons as to why this might be (ahem, the down the economy means less tax revenue, ahem) the fact remains that the cell phone ticket is becoming one of the most commonly written tickets by police officers throughout New York State. As simple as it might sound, fighting and winning your New York cell phone ticket is not exactly a walk in the park (or “like eating a bagel” as my grandma used to say). If you are to fight your New York cell phone ticket you need to walk into court with some ammunition. That’s where this guide comes in. To paraphrase the old Hair Club for Men ads “I’m not just an attorney who fights cell phone tickets; I’m also a client.” This e-book also contains my very own cell phone ticket story – how I fought my very own cell phone ticket – and won. See Appendix A – How I Beat My Cell Phone Ticket for the compelling story of a real attorney who had to sit in the Defendant chair and lived to tell the tale. On December 1, 2001, New York’s ban on the use of handheld cellular telephones went into effect having been signed into law by then-Governor George Pataki. New York was the first state in the nation to have such a law. At that time, a conviction for the defense did not carry any points. The cell phone law was codified at New York Vehicle and Traffic Law § 1225-c. Ever the trail blazer, on February 16, 2011, New York State started assessing 2 violation points for conviction of the handheld cell phone law. While this move received significant publicity, a fact that was not well publicized was that a new regulation went into effect on July 13, 2011, increasing the penalty for conviction of the cell phone law from 2 points to 3 points. At that time, New York was the only state in the nation to assess three driver violation points for cell phone tickets. On March 31, 2013 NY Governor Andrew M. Cuomo announced issued a directive to DMV to increase the number of points for cell phone use while driving and texting-while-driving from 3 points to 5 points. In addition, the Governor told the New York State Police that they must increase enforcement of the cell phone and texting-while-driving ban during the summer of 2013. This means that there will be more NYS troopers on the lookout for violators than ever before. At 5 points cell phone and texting tickets now carry the same number of points as Reckless Driving (NY VTL 1212), and Passing a School Bus (NY VTL 1174). The only violation which carries a greater number of points is speeding going 21mph over the speed limit and up. In addition, junior and probationary license holders who are convicted of cell phone or texting while driving will get a 60 day license suspension. If they are convicted of a second cell phone or texting violation within six months of getting their license restored, their license will be revoked for 6 months just like junior or probationary license holders who are convicted of speeding, reckless driving, or tailgating. In addition, DWI repeat offenders face even more trouble under this amendment. DMV regulations state that getting convicted of a “high-point driving violation” (any violation of 5 or more points) will trigger a lifetime driving record review. The person’s license will be revoked if the person is considered by law to be a “dangerous repeat alcohol or drug offender” (either 5 or more alcohol- or drug-related incidents during his lifetime OR during the past 25 years has 3 or 4 alcohol or drug-related driving incidents plus a serious driving offense). What this means is that the NTSB, the U.S. government investigative agency responsible for transportation accident investigation wants a nationwide ban on using all electronic devices while driving, including hands-free devices like a cell phone that has a hands-free feature. Their investigation of a fatal crash that was said to have been caused by distracted driving from text messaging led the panel to conclude that the only way to reduce the number of accidents and fatalities caused by drivers being distracted by an electronic device would be an all out ban on the use of cell phones and electronic devices while driving. While to date no state has adopted an all-out ban on cell phone use while driving, it might be only a matter of time before this happens. 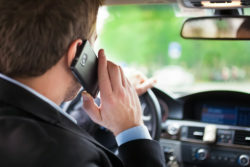 Some argue that these relatively new cell phone laws are overly harsh; especially in light of the fact that there are many other behaviors like holding non-electronic items in hand (like a hairbrush or lipstick) or carrying a conversation with another occupant of the vehicle could just as easily distract a driver and yet those behaviors are not unlawful while driving. Instead of singling out cell phone or electronic device use, there should just be a general law on the books for distracted driving where the Prosecutor would have to prove that the driver was distracted and that it affected the way he or she was driving. For example, in New Jersey, there is an offense called Careless Driving which covers this kind of conduct. Be that as it may, the law is the law and now we’re stuck with it. The least we can do is understand it so we can deal with if need be. The first thing you should do is fill out the portion of your ticket called Plea of Not Guilty. Even if you know that you were in fact guilty, it is the Prosecution that has the burden to prove it. If they can’t prove it – U.S. law considers you “not guilty.” Even if you suspect that you might want to change your plea later on don’t worry- an initial plea of “not guilty” just preserves your rights to a court date and trial (if applicable). You can always change your plea to “guilty” later on. For help reading your New York traffic ticket, click here . It is a commonly held misconception that one can plead guilty with an explanation and still be found by the judge to be “not guilty.” This is simply not true. You are either guilty or not guilty and there are no in-betweens. Once you plead guilty, either by filling out the Plea of Guilty portion of your ticket or by pleading guilty in front of a judge in open court, the judge will have no choice but to convict you of the offense. The reason the ticket may have some blank lines for you to fill in under the Plea of Guilty portion is to give you the opportunity to plead with the judge for a reduced sentence which in the case of a cell phone ticket can only mean a reduced fine. The judge has no discretion upon sentencing to reduce the points because points are the jurisdiction of the DMV, not the court. Once the court transmits a record of the conviction to DMV, DMV will automatically apply the points to your driving record. Before you mail in your “not guilty” plea, be sure to make a photocopy or scan of your ticket and/or supporting deposition (if any). Then mail in the signed ticket to the address of the court listed on the bottom of your ticket. Your ticket/plea must be received by the court no later than the court date listed on the bottom of the ticket or you risk suspension. If you hire an attorney, he or she can take this burden off your hands by entering the “not guilty” plea on your behalf. If your case is in the Traffic Violations Bureau (TVB) (the 5 Boroughs of NYC) you can plead online. what if i lost my ticket? what if i forgot the name of the court? If you lost your ticket, contact the court that is handling your case and ask them if they would fax or mail you a replacement copy. If you forgot which court is handling your ticket (there are literally thousands of courts in New York State), you are in trouble because there is no statewide traffic ticket tracking system. The only way DMV will know about your ticket is when the court sends them a notice of pending suspension because you missed the deadline. Once that happens, DMV will send you a 30-day notice of pending suspension informing you of which court is handling your ticket. This is one of many reasons why you need to make sure DMV has your correct address. A supporting deposition is a sworn statement written by the officer that describes the factual basis for issuing you the ticket. It also contains a section where the officer can list any statements you might have made to him during the traffic stop that may be used against you during trial. These days, it is becoming more and more common for the police officer to automatically hand you a supporting deposition together with your ticket. If he didn’t do so, there should be a place on the ticket that tells you how you can request that you be sent a supporting deposition. If you were not provided a supporting deposition at the time of the traffic stop, ordering a supporting deposition (which must be made within 30 days of the court date listed on your ticket) can be a good idea for two reasons: First, if you ask for a supporting deposition and one is not provided to you within 30 days your request is received by the court or 5 days before trial, whichever is earlier, you can ask for your ticket to be dismissed. Second, the supporting deposition may give you a heads up about what to expect at trial and especially what incriminating statements you might have made that were noted by the officer that may be used against you at trial. Naturally it is a good idea to be prepared to respond to any incriminating information listed in the supporting deposition. At some point after the court receives your plea, you will receive a notice in the mail of when your case is scheduled for court. Courts these days do not schedule the first appearance as a trial but rather a “pre-trial conference” which is a date you can come in and meet with the Prosecutor to discuss settlement of your case. Even if you want a trial, you will most likely still have to appear on the pre-trial conference date, tell the court you want a trial, and then they will make you come back a second time on a future date. The advantage to hiring an attorney who works on a flat fee system is that he can cover the initial appearances for you so you don’t have to bother with travelling to court and waiting for what could be several hours until your case is called and you are given a new date to return. An attorney who has a signed authorization from you that permits him to appear in court on your behalf can do everything you could do except take the stand and testify on your behalf at trial. The only person who can testify to facts at trial is the person who actually witnessed them. Unless you direct it otherwise, the court will mail court correspondence to the address listed on your license or if you have moved out-of-state to the last address you lived at when you resided in New York State. Thus, if you moved since then, you must fill out the Address portion of the Plea of Not Guilty section or your court date might be mailed to the wrong address. If that happens, you won’t know when to come to court, miss your date, and eventually get your license or driving privileges suspended. If you aren’t an attorney, and especially if this is your first time in court, you are most likely relatively unfamiliar with basic courtroom and trial procedure. There you may think you learned a lot from the Law and Order TV series or the movies, we all know that Hollywood often does not paint an accurate picture of reality. Before we begin dissecting the law and crafting legal arguments and strategies, it is important to learn a little bit about courtroom and trial procedure, otherwise you won’t necessarily know when the appropriate time might be to raise your defenses. The recipient of the ticket is called the Defendant (that’s you). The person responsible for prosecuting the offense is called the Prosecutor. Some courts have assistant district attorneys or local prosecutors who are responsible for prosecuting traffic tickets. In other courts, the police officer that issued the ticket(s) will act as the Prosecutor. As soon as you walk into the courtroom, you will likely be directed to either take a number or have a seat and wait until your name is called. In some courts, the judge or clerk will conduct what is referred to as “calendar call” – a roll call or attendance to first see who is in court and who is not. In the courts that allow plea bargains (see below), the next step is that you and/or your attorney will be called in to meet with the Prosecutor. In courts that do not allow plea bargains, you will have to wait until you are called up in front of the judge (that area is called “the Bench”) for your trial. In courts that do accept plea bargains, most Prosecutors will offer you one. Notably, the Prosecutor is under no obligation to offer you a plea bargain but again, will do so in the average case. Whether or not the plea bargain is offered is completely within the discretion of the Prosecutor. If the Prosecutor decides, for whatever reason, not to offer you a plea bargain, you’ll have no choice but to either plead guilty or go to trial. This is one reason many people choose to hire an attorney to handle their case from the start. Whereas most people have the feeling that they might know how to “wheel and deal” with the Prosecutor, most people who are not trial attorneys are less confident in their ability to pull off a stunning trial victory (it’s not as easy as it looks on TV). If the Prosecutor offers you a deal that you are inclined to accept (for example, a reduction of your charges to a 0-point ticket), great. Kindly tell him or her that you accept his offer. If the offer is reasonable, most attorneys would advise you to take it. For example, if the Prosecutor offers to reduce your cell phone ticket to a parking ticket with a $150 fine (the most common one is VTL 1201-a) you might not be so happy about paying that fine, especially if you know you weren’t guilty or feel like you have a good chance of winning at trial. The flip side is that if you do take it to trial, the odds are you will lose and if you do, not only will you have to pay a fine, but you will also get points on your driving record (the judge has no authority over points; if convicted, DMV will assess the points automatically). Just think about it as a $150 insurance policy against losing at trial and getting 5 points on your driving record. Most people I know would rather pay than have five points. Whining to the Prosecutor after having received a good deal (e.g. “thanks for the offer to reduce my charges to a 0-point parking ticket but really the ticket should be dismissed with no fine”) is also a bad idea. First, it’s pretty big slap in the face to a guy who was under no obligation to offer you anything but decided to give you a break. Second, he can very well withdraw his offer before it is placed on the record by the judge. If he does that, and the matter goes to trial, what do you think the judge’s view will be of a guy (you) that rejected a reasonable offer and as a result is making him stay late to preside over a trial while his dinner gets cold and he misses his favorite TV show? If the Prosecutor offers you no deal, or a lousy deal, here is where you might want to politely raise some of the arguments presented in this guide (if applicable). If the Prosecutor sees you are serious about taking it to trial, and especially if you have some good arguments, he or she might just change their mind and make you a better offer. Again, here is where having a skilled attorney can come in handy. Often times prosecutors give attorneys better deals as a “professional courtesy” (whether you agree with that or not, that is the reality) and sometimes only an experienced attorney will know how to leverage her position in order to get a better deal. In addition, a prosecutor is more likely to want to avoid going up against a sharp attorney at trial than a non-attorney because the prosecutor is likely to think she has a greater chance of losing at trial to an attorney than a non-attorney. That aspect alone can be the basis for a better plea bargain offer. As with judges, it is never a good idea to be rude, disrespectful, sarcastic or argumentative with a Prosecutor. It is pretty obvious that this kind of behavior will not increase your chances of getting a good deal and will most likely reduce the odds of getting a good deal. In some courts they will ask you to sign an acceptance; in others they will tell you to have a seat and wait for your turn to be called to the Bench. You will eventually be called to the Bench where the judge will ask you “on the record” whether or not you accept the offer. Some judges will ask you “how do you plead to the reduced charge of [the proposed reduction]?” and at that point, if the proposed plea bargain offer is acceptable you say “guilty” because in fact you are pleading guilty to the new “amended” or reduced offense. The judge will set the fine (yes, there is a price to pay) and you will either have an opportunity to discuss how much time you need to pay the fine or be told by the judge exactly how much time you have to pay. Some courts will not even accept a plea bargain unless you have the money with you to pay the fine on the spot. Not only that, many courts do not accept credit card but rather certified check (also known as a “banker’s check”), money order, or cash (I have heard many clerks direct Defendants to “the ATM around the corner” – I wonder whether they get a cut of the ATM fees!). If you don’t accept the plea bargain offer, kindly tell the Prosecutor that you would like a trial and ask him if he will inform the court or if it is your responsibility to inform the clerk. You will likely be called up before the judge so you can state for the record that you reject the plea offer and want a trial. At that point the judge will either give you a trial date on the spot or inform you that a trial date will be mailed to you. If either (a) you and the Prosecutor are unable to reach a plea bargain settlement; or (b) you decide that you would like a trial; or (c) your case is pending in a Traffic Violations Bureau (the five Boroughs of NYC) where plea-bargaining is not permitted, the case will be scheduled for trial. Note that your trial will not necessarily be held on the first court appearance date. The trial can be rescheduled by the court to a different date that may be more convenient for the prosecutor, a police officer, or the court itself. People often wonder why the flat fees we attorneys charge for traffic ticket cases can be in the several hundred dollars. The answer is that since it is a “flat fee” it necessarily covers all court appearances and trial. Since an attorney might have to appear in court twice or three times before having the actual trial, and may have to do trial prep and wait several hours until the trial occurs (trials are almost always held at the end of the court session), there can be a significant amount of time spent on even one case. Whether or not you feel you were “burned by the system” or had to wait 3 hours until your case finally got called for trial, now is not the time to act impatient or disrespectful to the judge. First, he or she has the power to hold you in contempt if things get out of hand which can mean monetary fines and/or jail. Trust me, however smart that wisecrack about judges and courts may be, it’s not worth a night in the slammer. There was once a judge in New York State that held the entire courtroom in contempt for not giving up the person whose cell phone ringer went off in middle of the court proceedings. He ordered the entire assemblage to spend the night in jail! Needless to say, his days as a judge were numbered and before long he was disrobed. True story – Google it. The judge will start by asking both sides for opening statements. This is your first chance to tell the judge your basic arguments for why he or she should find you not guilty and dismiss the charges. You might want to make a brief and to-the-point statement at this time but this is not the time for long-winded speeches. The trial will likely take place at the end of a long and tiring court session and the judge is probably not interested in hearing your personal views on why law enforcement and the judicial system are corrupt. Another reason to keep your opening statement short is that nothing has been proven yet – there is no evidence on the record so naturally everything you say will be taken with a grain of salt. The most critical words you should use as a starting point are “The evidence will show…” – this indicates that you are stating that though this is unproven at this point, this is what I intend to prove. After opening statements, the floor gets turned over to the Prosecutor who will attempt to prove his case. The Prosecutor may ask the officer some background information (e.g. who he works for, how long he has been on the job, etc.) and then will eventually ask the officer what occurred on the date and time listed on the ticket. Listen very carefully to how the officer describes what occurred and take careful notes. There is a good chance that the officer will either fail to give the Prosecutor the essential facts that he needs to prove his case or that he will say something inaccurate or inconsistent. Holes in the Prosecutor’s case, i.e. elements of the charged offense that he fails to prove (we will learn about these elements later on). Things that he says that can be proven to be false (e.g. he claims he pulled you over on Tuesday, December 20, 2011 at 3:00pm and you can get a doctor’s note to prove you were undergoing surgery on that date and time). After the Prosecutor is done questioning the officer he will say “nothing further” or “no further questions.” At this point you will have the opportunity to ask the officer any questions about his testimony. Cross-examination is limited to the “scope” of what the officer testified to during the direct examination. So, if for example the officer only testifies about your traffic stop that occurred in the afternoon, don’t ask him what he had for breakfast. Rather, you want to ask him questions about his testimony that will help your case. The Prosecutor must prove all essential elements of his case beyond a reasonable doubt (except in the Traffic Violations Bureaus where the burden is less). This is called making a “prima facie case” (pronounced prima facia) which is critical because if the Prosecutor cannot do so, the case must be dismissed. Once the Prosecutor is done presenting his case, he will conclude by saying “the Prosecution rests” or “nothing further.” If you have determined by this point that he has not proven the essential elements required by the statute, you can tell the judge that you would like to make a “motion to dismiss for failure to make a prima facie case”. This means that you are requesting that the judge dismiss the case because the Prosecution has not proved the essential elements. At this point, the judge will give you the floor to explain why you think the case should be dismissed. Once you have made your argument(s) the Prosecutor will have the opportunity to make counter-arguments and the judge will get to ask you questions about your arguments and potentially for your response to the Prosecutor’s arguments. One of the disadvantages to trial is that things move very quickly (especially in the lower courts where cell phone tickets are dealt with) and you have to think on your feet and not only be prepared to make your point(s) when the opportunity arises but also respond to any counter-arguments the judge or Prosecutor may make. This is another reason that having an attorney with trial experience handle your case can be useful (read: your Uncle Joe who has worked for his entire career drafting contracts for large corporations may never have conducted a single trial). An attorney with a repository of legal knowledge and trial tactics she learned on the job may be able to pull out some stops or creative legal arguments or counter-arguments that you might not think of or be able to articulate because you lack the ability to speak in “legalese” (the language of lawyers and judges – in fact, there are special dictionaries just for this purpose – but try using one to translate in real time during a trial and you will likely get very frustrated). If you make some good points you may have the judge stumped and he or she might take a recess on the spot to research the law. However, it is more likely that the judge will not rule on the motion, or deny your motion and wait until the end of the trial to research and consider whether your arguments merit a dismissal. Since the burden of proof is on the prosecution (remember that old “innocent until proven guilty” thing? ), by law you don’t need to do anything more. Yes, it’s true, after the Prosecution makes its arguments and the judge gives you the floor you can make your motion to dismiss, or waive that and just say “the Defendant rests” and sit there like a lump on a log until the judge makes his decision. In theory, even if you don’t testify, cross-examine, or present one shred of evidence or legal argument in support of your case, the judge is still under a duty to determine based on the Prosecution’s case alone whether or not he has made his burden of proof. If the judge cannot state based on the Prosecution’s evidence that there is proof of guilt beyond a reasonable doubt, he must dismiss the case. However, as disappointing as this sounds, the chances are overwhelming that if you don’t present your case or tell your side of the story, you will be found guilty. Hence, in practice, this point about it being the Prosecution’s burden of proof is for the most part academic. You need to present a strong defense or you’re probably toast. After the Prosecution rests and in the event that the judge denies your motion to dismiss, the judge will give you the opportunity to present your case. If you didn’t hire an attorney (and by this point in the e-book you might be so overwhelmed or intimidated by the system that you hired one already! ), you will take the stand and tell your story (since you can’t question yourself). You need to be prepared to respond to objections that the Prosecutor might make (remember he has the right to make objections just like you did). It is your Constitutional right to not testify if you don’t want to. If you choose to testify, that gives the Prosecutor the right to cross-examine you once you are done. If you choose not to testify, the Prosecutor won’t be able to ask you anything. So if you think that you might be forced to answer a question that you don’t want to, you might be better off not testifying. If you don’t testify, on the other hand, your case will be limited to calling other witnesses (e.g. the police officer, a friend or passenger who might rebut the officer’s testimony) and offering physical evidence like documents (e.g. a cell phone bill). After both sides present their case, the judge will give each side the opportunity to make a closing statement. You go first. This is your final opportunity to argue why your ticket should be dismissed. You should point out why the Prosecution failed to prove their case beyond a reasonable doubt. We will present various arguments you might be able to make in the pages that follow. Most judges will issue a decision on the spot. As mentioned above, some judges may take a recess in order to research the law before they announce their decision (though maybe just to take a stiff drink, use the bathroom or check the sports scores). Good judges will explain why they concluded what they concluded. Crafty judges (see Appendix A – My Cell Phone Ticket Story) will try to put some stuff on record that makes it harder for them to get reversed on appeal. They don’t always succeed at that, but some will try anyway. While appeals are far beyond the scope of this guide, I will just say in short that you have 30 days from the date of conviction to appeal either the verdict (i.e. the fact that you were found guilty), the sentence (i.e. the penalty), or both. Now that we understand basic courtroom and trial procedure, and when the appropriate times are for making legal arguments, we can proceed to explaining some legal arguments you can use in your case that might convince the judge to find you “not guilty” and dismiss the case. Lawyers and even law students will tell you that the best support for legal arguments comes from published judicial opinions that discuss the same or similar issue being dealt with in your case. Judges presiding over cell phone ticket trials are usually city, town, village, or justice court judges. Unfortunately, most of those kinds of judges do not issue written opinions and even if they do they are usually not published in the official reporter of New York court opinions. The averaged published judicial opinion is written by an appellate judge or judges who presided over an appeal. Since the penalty for cell phone tickets is relatively modest, historically very few people have appealed cell phone ticket convictions (I am an exception – see Appendix A) and therefore very few published judicial opinions that discuss the cell phone ticket exist which makes legal research very difficult. Thus, in the average case you will have to make your arguments on your own without the support of published case opinions. The first step in creating legal arguments or crafting them to the facts of your case is to understand the New York cell phone law. For purposes of this section, the following terms shall mean: (a) “Mobile telephone” shall mean the device used by subscribers and other users of wireless telephone service to access such service. (b) “Wireless telephone service” shall mean two-way real time voice telecommunications service that is interconnected to a public switched telephone network and is provided by a commercial mobile radio service, as such term is defined by 47 C.F.R. § 20.3. (c) “Using” shall mean holding a mobile telephone to, or in the immediate proximity of, the user’s ear. (d) “Hand-held mobile telephone” shall mean a mobile telephone with which a user engages in a call using at least one hand. (e) “Hands-free mobile telephone” shall mean a mobile telephone that has an internal feature or function, or that is equipped with an attachment or addition, whether or not permanently part of such mobile telephone, by which a user engages in a call without the use of either hand, whether or not the use of either hand is necessary to activate, deactivate or initiate a function of such telephone. (f) “Engage in a call” shall mean talking into or listening on a hand-held mobile telephone, but shall not include holding a mobile telephone to activate, deactivate or initiate a function of such telephone. (g) “Immediate proximity” shall mean that distance as permits the operator of a mobile telephone to hear telecommunications transmitted over such mobile telephone, but shall not require physical contact with such operator’s ear. 2. (a) Except as otherwise provided in this section, no person shall operate a motor vehicle upon a public highway while using a mobile telephone to engage in a call while such vehicle is in motion. (b) An operator of a motor vehicle who holds a mobile telephone to, or in the immediate proximity of his or her ear while such vehicle is in motion is presumed to be engaging in a call within the meaning of this section. The presumption established by this subdivision is rebuttable by evidence tending to show that the operator was not engaged in a call. (c) The provisions of this section shall not be construed as authorizing the seizure or forfeiture of a mobile telephone, unless otherwise provided by law. 3. Subdivision two of this section shall not apply to (a) the use of a mobile telephone for the sole purpose of communicating with any of the following regarding an emergency situation: an emergency response operator; a hospital, physician’s office or health clinic; an ambulance company or corps; a fire department, district or company; or a police department, (b) any of the following persons while in the performance of their official duties: a police officer or peace officer; a member of a fire department, district or company; or the operator of an authorized emergency vehicle as defined in section one hundred one of this chapter, or (c) the use of a hands-free mobile telephone. 4. A violation of subdivision two of this section shall be a traffic infraction and shall be punishable by a fine of not more than one hundred dollars. Reading and understanding the facts of a statute does not come easy to most people; that’s where we lawyers come in. We are going to analyze the statute piece by piece so we can better understand it. It might seem tedious but we’re going to learn a lot of useful information and possible defenses along the way, so let’s begin. Before proceeding to “lay down the law” the statute must defines some terms so we know what it’s talking about. (a) “Mobile telephone” shall mean the device used by subscribers and other users of wireless telephone service to access such service. (b) “Wireless telephone service” shall mean two-way real time voice telecommunications service that is interconnected to a public switched telephone network and is provided by a commercial mobile radio service, as such term is defined by 47 C.F.R. § 20.3. Ok, Legislature, by now we know what a mobile telephone is; and we also know that we subscribe to get the cell phone service. However, with these definitions seem to exclude our calls made from devices other than mobile telephones like laptops and tablets using services such as Skypetm that are not governed by 47 C.F.R. § 20.3. Thus, if you get ticketed for violating New York Vehicle & Traffic Law § 1225-c because you made a telephone call using a device other than a mobile telephone, it might be possible to argue that your conduct was not governed by this statute. This is a very interesting definition. The implication of this definition is that the police officer or prosecution need not prove that you are actually engaged in a telephone communication while driving in order for you to be convicted of this offense. All that needs to be proven is that you were (1) holding the phone to your ear; or (2) holding the phone in the immediate proximity of your ear. I suspect that the reason for this definition is that the Legislature realized how difficult it would be to prove that an individual was actually using the phone at the time the officer observed him or her doing so. Requiring the prosecution to subpoena cell phone records to prove that the phone was in use would simply be too burdensome. The flip side is that this makes it much easier for the prosecution to prove their case and creates quite a challenge for a person trying to defend himself or herself in court. More on this later. (d) “Hand-held mobile telephone” shall mean a mobile telephone with which a user engages in a call using at least one hand. This definition tells us that the person accused of driving while using a cell phone must be operating a mobile phone with the use of at least one hand. The inverse of this (a hands-free phone) is defined in the following definition. In my opinion, the wording of this definition is very confusing. In essence, what it says is that if the phone has a feature (whether it be internal or add-on) that allows a person to engage in a telephone call without the use of either of his hand, it is considered a hands-free mobile telephone. The reason why this definition is poorly worded is that if you read it literally it leads you to believe that virtually every cell phone on the market today would be considered hands-free. Think about it – when did you ever see a cell phone that doesn’t have a speakerphone built in? The statute even says explicitly that such a phone is considered hands-free even if you need to use your hands to initiate or deactivate a function of the phone (which is also the case with many hands-free devices – though they have a speakerphone feature built-in, you still need to use your finger to press the “Send” or “Call” button)! Keep this point in mind because we’re going to return to it in the section entitled Legal Arguments (below). (f) “Engage in a call” shall mean talking into or listening on a hand-held mobile telephone, but shall not include holding a mobile telephone to activate, deactivate or initiate a function of such telephone. What this means is that in the eyes of the law you are only engaging in a call if you’re talking into or listening to the cell phone. Merely holding the phone or pressing one of its buttons is not considered “engaging in a call.” This is important because many individuals (myself included – see How I Beat My Cell Phone Ticket) have been ticketed for cell phone use while merely holding a cell phone or pressing its buttons. The statue clearly says that this conduct is not unlawful under the New York cell phone statute. This definition harks back to the term “immediate proximity” used in the definition of (c) “using”. Remember, that under (c), a person is considered to be “using” a cell phone while driving if she is holding a mobile telephone to, or in the immediate proximity of, her ear. This definition explains that “immediate proximity” of the ear means not that the phone has to touch the ear but a distance that permits the user to hear a communication coming from the phone. The problem with this definition is that it doesn’t factor in things like the fact that certain phones can be turned up louder than others so the definition of “immediate proximity” may vary from phone to phone. I wonder how many judges would entertain a volume test in middle of a trial! Nevertheless, this ambiguity might be able to be used to your advantage. Read on. Except as otherwise provided in this section, no person shall operate a motor vehicle upon a public highway while using a mobile telephone to engage in a call while such vehicle is in motion. The most common defense we hear from potential clients is that they were not, in fact, talking on their cell phone. Per the cell phone statute (see below for a detailed analysis of the law), a person actually needs to have been engaged in a wireless communication in order to be guilty. As such, the most straightforward and perhaps the most successful defense would be to demonstrate that you were not talking on your phone when you were allegedly observed doing so. The problem with this defense is that this is not as easy to prove as you might think. The average person thinks it is as simple as bringing a copy of their cell phone bill to court and showing that there was no call that took place at the time of the traffic stop. However, a police officer might raise the following: This cell phone bill only proves that the cell phone that is listed on the bill was not being used by the driver but it still leaves open the possibility that he was talking on a different cell phone. This is why it is critical to not only present the cell phone bill but also include testimony in your case in chief that you were not using any other cell phone at the time you were allegedly witnessed doing so. The fact that the officer has no proof that you were using anything other than the cell phone on the bill should make for a strong argument at the end of the case, but you might need to cross-examine him just right to make your point. The danger in this defense is that you are making the officer look like a liar – and cops and judges can despise you for it. Don’t be surprised if, despite your solid defense, you still get convicted because the judge is simply unwilling to believe that the officer is not telling the truth, the whole truth, and nothing but the truth. It may be that only the most experienced attorneys can do the delicate dance of proving their case while at the same time not bringing shame on the police department that the judge most likely has a lot of respect for. Also, as a final note please be aware that you might have to get the cell phone bill authenticated in order for it to be admissible at trial. This is a detail that is beyond the scope of this e-book. Let’s break down each element and discuss potential legal arguments that can be used in defending your case. The first element is that the cell phone user must be operating a motor vehicle on a public highway. This means that if, for instance you received a cell phone ticket in a parking lot or on a private road, you could raise this issue as a defense. The next element that the prosecution must prove is that the driver was using the cell phone (later on we will see that this means specifically a handheld cell phone) while driving. This was defined above (definition (c)) as holding a mobile telephone to, or in the immediate proximity of [close enough to hear it – (definition (g)], the user’s ear. The implication is that if you are not holding the phone to your ear or holding the phone far enough away from your ear so that you cannot hear it, you are not “using” the phone within the meaning of the statute. As defined above in definition (a), you must be using a mobile phone in order to violate this statute. If you were using any device other than a mobile phone, you cannot be found guilty of violating this statute. The Prosecution must also prove that you were engaged in a call when they witnessed you holding the phone. So for example, if the time listed on the ticket is far off from the time you made your last call (which can be demonstrated by your cell phone bill) you might be able to convince the judge that you weren’t actually engaged in a call when he allegedly saw you using it. The simple interpretation of this is that if your vehicle is not moving, you can’t be guilty. However, what if you are stopped at a stop sign or a traffic light? Yes, technically your vehicle is not moving but it is still in the “flow of traffic” so you might have a problem. (b) An operator of a motor vehicle who holds a mobile telephone to, or in the immediate proximity of his or her ear while such vehicle is in motion is presumed to be engaging in a call within the meaning of this section. The presumption established by this subdivision is rebuttable by evidence tending to show that the operator was not engaged in a call. This section makes things even tougher for the Defense. As you can see from the text of the statute, holding the phone to, or in the immediate proximity of your ear creates a legal, but rebuttable, presumption that you were using the phone. The statute does say, however, that this presumption can be overcome by presenting evidence that you were not actually using the phone at that time. The most common way to do this is to present a copy of your cell phone bill which clearly proves you were not using your phone at the time the officer claims he saw you using it, and/or to call a witness (most commonly a passenger in your vehicle) that was in your presence at that time and can testify as a matter of fact that you were not engaged in a call. (c) The provisions of this section shall not be construed as authorizing the seizure or forfeiture of a mobile telephone, unless otherwise provided by law. Believe it or not, I have encountered several people who have been pulled over for cell phone use and when they tried denying it were asked by the officer to give him the phone for examination so he can check the internal call log to see the last time a call was placed. This statute makes seizure of the phone impermissible and if the officer orders you to give him the phone and you do so against your will, any evidence he obtains from it will not be admissible in court. On the other hand, most searches are legitimate if consent is granted so if he asked you whether he could see your phone and you consented, what he discovered (if anything) can be fair game at trial. According to Section 3. of the statute, three categories of cell phone users are exempt: (a) those communicating with an emergency response (e.g. 911) operator, hospital, doctor’s office, ambulance, fire department or police regarding an emergency situation; (b) certain public officials while in performance of official duties; or (c) those using a hands-free cell phone. A copy of your cell phone bill showing the telephone number you dialed and an internet search printout showing that the number matches one of the above 5 categories. A witness who was either in the car or at the scene who is willing to testify in court that he or she observed the driver use the cell phone only to communicate with a person in one of the above categories regarding the emergency. Evidence of this nature might encourage the Prosecutor to give you a good deal (outside the TVB of course) or motivate the judge to dismiss your case. I doubt that I’m the only one who has been driving along and trying to set a good example by obeying the law only to observe a police officer pass me yakking on his cell phone. In fact, I see this almost every day. Though this section of the law clearly requires that public servants be “in the performance of their official duties” something tells me that these individuals don’t always stick to that rule. Despite the fact that this subsection probably doesn’t apply to you (unless you’re a cop) I couldn’t resist the chance to bring up the subject. If you are a law-abiding police officer and you are reading this – good for you. We thank you for your service and for setting a good example. And if you are one of those police officers who just chooses to disobey the cell phone law because you knows you’ll get away with it, shame on you. [Subdivision two of this section shall not apply to…] (c) the use of a hands-free mobile telephone. This is the big one. Everyone knows how big hands-free devices have become. There are almost countless wired and wireless (Bluetooth) headsets and earpieces on the market today. I am convinced that some day in the not-too-distant future, they will invent a tiny device that can be implanted in your ear so you don’t have to walk around looking like you have some sort of weird black growth coming out of your ear that flashes on and off. After the initial period of people thinking that those with the devices are talking to themselves, it will become just part of modern society. But I digress. This exception doesn’t say much. In fact, without definition (e) you would have no way to know what hands-free even means. Now you understand why we walked through the definitions step-by-step first (if you skipped over that part to ‘cut to the chase’, now might be a good time to go back and read the parts you missed or, if you were smart enough to read this book in sequence, you might want to re-read definition (e) to refresh your memory). The most common reading of the hands-free exception is that you can use your cell phone while driving if you are using a hands-free function (i.e. a speakerphone) or device (i.e. a headset). Hence, the standard defense under this exception would be to argue that you were either using the speakerphone or a headset when the officer alleges he saw you talking on the phone. If you choose this route, tread carefully. Though reading this e-book might lead to you believe otherwise, I don’t think it is a very good idea to try and make the officer who claims he didn’t see you using a headset look like a monkey (after all, this isn’t baseball — “hey Ump, are you blind???”). Remember, judges tend to side with police officers, especially on issues of credibility, and many even hold police officers in high regard. Thus, the difficult dance is to gently show how it is possible for the officer to be mistaken in that just because he didn’t see you using a headset doesn’t mean you weren’t using one. The good news about ever-shrinking Bluetooth-type devices is that some of them a relatively hard to see, especially from a distance. That bit I did before about people thinking you are talking to yourself was intentional – and you might even put it over on the judge in your closing (after you have testified that you were in fact using a wireless headset at the time of the alleged offense). Your Honor, the Court can take judicial notice [that’s a fancy way of saying that the judge should acknowledge a fact on his own without the need for evidence to be admitted in court – ed.] of the fact that these devices are so small that virtually everyone has had the experience of seeing someone who appears to be talking to themselves (or to us!) only to discover that the person is using their wireless headset. Since there is evidence on the record that I was using a headset at the time as I testified earlier, I think it is fair to say that the officer is being truthful in saying that he did not see the wireless earpiece in my ear when in fact I was using one. The problem is that the prosecution may argue that regardless of whether or not you were using a hands-free feature, the officer observed you holding the cell phone to your ear or in the immediate proximity of your ear (this is probably why he pulled you over in the first place), your only choice is to argue that the exception still applies under either a strict reading of the statute (which we will refer to as “strict construction”) or a loose reading of the statute (which we will refer to as “liberal construction”). As was touched on above, under this definition, technically every cell phone with a speakerphone feature is a “hands-free mobile telephone” (since the definition is “a mobile telephone that has an internal feature…by which a user engages in a call without the use of either hand”) and thus the “use” of such a phone as described in this exception would be permissible regardless of whether you were using the hands-free feature at the time of the telephone call. I say this because nowhere in either definition (e) or Section 3, Exception (c) does it say that you have to be using the hands-free feature. All this exception says is that you must be using a hands-free mobile telephone. It does not say that you must actually be using a hands-free feature or device to fall under the exception. I can tell you right now that most judges are going to look askance at such a literal reading of the statute. I think it will most likely take a conviction and a wise appellate judge to appreciate such an argument. Whether or not an appeals court will agree with my reading is a different question. As was just mentioned, the judge may be unwilling to deem every use of a phone hands-free just by virtue of the fact that it has a speakerphone built-in or is attached to a headset. Yet, even if you want to read it loosely, one could argue that so long as you are using a hands-free feature to talk on and listen to the phone, the exception applies even though you also might be holding the phone to or in the immediate proximity of your ear (as defined above: close enough to hear it). So, you may argue, just because the officer saw the phone in your hand does not necessarily mean you didn’t have it on speakerphone mode or that you weren’t using the wireless earpiece at the same time as you were holding the phone. Hence, you goal is to argue that the exception applies under a either a strict or even liberal construction of the statute. The most logical counter-argument is that it was clearly the Legislative intent to enact a law that would only allow for hands-free use so that you could keep both hands on the steering wheel so just because a “technical” reading of the statute might allow an exception for using the phone while holding it so long as you were talking/listening using the speakerphone mode or a headset, it is not in the “spirit” of the law. If I heard that I would argue that (1) I don’t know anyone, myself included that actually drives with both hands; (2) there is no law that makes holding lipstick, a hairbrush, or a cup of coffee while driving so why is a cell phone different – so long as you are using a headset it should be allowed; and finally (3) and here is the kicker – definition (e) explicitly says that a phone is considered hands-free “whether or not the use of either hand is necessary to activate, deactivate or initiate a function of such telephone.” In other words, the statute contemplates that though you are using a hands-free feature or device you may still need to come in physical contact with the phone to turn the phone on, off, place a call, or disconnect a call – and says that despite doing this it is still considered hands-free! If you have a headache at this point, I don’t blame you. There is a reason we lawyers spent three years in law school mostly reading stacks of judicial opinions and learning very little practical lawyering along the way. Law school teaches you how to “think like a lawyer” and when you are done you are hopefully capable of crafting and understanding some pretty serious logical maneuvering. Again, I stress that hiring a lawyer might come in handy and hopefully by now you can see why. One of the most common things I hear in my day-to-day practice as a criminal and traffic ticket lawyer is “the cop made a mistake on my ticket; does that mean I get off?” Naturally I then proceed to ask them what the mistake was. Nine times out of ten they say something like: “he said my car was white when really it is red;” or even better: “he listed the wrong zip code for my mailing address.” Come on, do you think it’s that easy? If you bring up small errors like that when the time comes, you will probably be laughed out of court by the Prosecutor, judge, or both. Minor mistakes that don’t affect the Prosecutor’s ability to meet his burden of proof aren’t going to be a basis to dismiss the ticket. While presenting an exhaustive list is beyond the scope of this guide, one technical defect that you might be able to use successfully is if the officer writes down the wrong date, time, or both. This can actually be quite common in an offense that occurs very early in the morning. For example, the officer may still have in mind that it is December 1st when he writes that the offense took place at 12:15am on December 2nd and as a result he may list the date and time of the offense as 12/1/2012 at 12:15am even though the correct date should have been 12/2/2012. In reality back on 12/1/2012 you might have been sitting in front of the TV in your jammies watching old I Love Lucy reruns with your mom instead of talking on your cell phone while driving on the New York State Thruway which is where you were at 12/2/2012 at 12:15am (the correct date and time). Assuming you can present alibi evidence to establish that you were elsewhere on the date and time the officer testifies that the offense occurs (assuming his testimony matches with the date and time on the ticket and he has not testified that he made a transcription error), you might be able to get your ticket dismissed. The only way that a person can be convicted of cell phone use while driving is if the officer or a witness who actually observed the occurrence shows up in court to testify as to what he or she saw. It is quite common that two officers work as a team – one officer will be perched on the side of the road, in the median or near an exit ramp (where cars tend to drive slower than usual) and be watching for cell phone violators. Instead of losing his vantage point and ability to nab other drivers while he pursues the reckless cell phone offender, he will radio to his fellow police officer who is stationed farther down the road and that second officer will effect the traffic stop. The problem is that there are times that only the ticketing officer as opposed to the witnessing officer will show up at the trial. He may take the stand and testify that he was parked on the side of the road when his fellow officer radioed to him that a certain car (your car) was observed being driven by an individual (you) that was talking on his cell phone. If he fails to say that he actually saw you using your phone, you are in luck. You can wait until the Prosecution rests and then make a motion to dismiss the ticket based on the Prosecutor’s failure to make a prima facie case since there was no proof that you were using the phone while driving, only hearsay. I really needed to go to the bathroom – badly. I was driving my new sports car and wasn’t used to the quick acceleration. I just found out (fill in the blank) and was really stressed. I was driving in heavy traffic and the cop confused me with another car. It couldn’t have been me but rather someone who looked like me, was driving my car, and happened to have my driver’s license on him at the time (the SODDIT Defense). In other words, “I didn’t do it” or “someone did it but it wasn’t me.” While these are in fact legitimate defenses, they can be pretty difficult to prove, at least in the case of speeding. This guide has presented you with some “I didn’t do it” strategies but it won’t provide you with any SODDIT strategies. I am sorry to disappoint you if that’s what you have been waiting for. The Cell Phone Bill Defense – you argue based on your phone bill that you weren’t using your phone or any other phone. The Statutory Interpretation Defense – you argue that under either a strict or loose interpretation of the cell phone statute, you cannot possibly be found guilty. “Getting Off On a Technicality” and “The Alibi Defense” – arguing a technical defect in the ticket such as where the officer writes the wrong date. The “Teamwork Doesn’t Work” defense – The officer that is in court testifying was not the officer that observed the alleged cell phone use but rather an officer that issued the ticket in reliance on a different police officer’s word. You argue that the Prosecution failed to make its case because there was no admissible evidence that you committed the offense. Handling a cell phone ticket in court, especially one that will go to trial, is a complex endeavor. 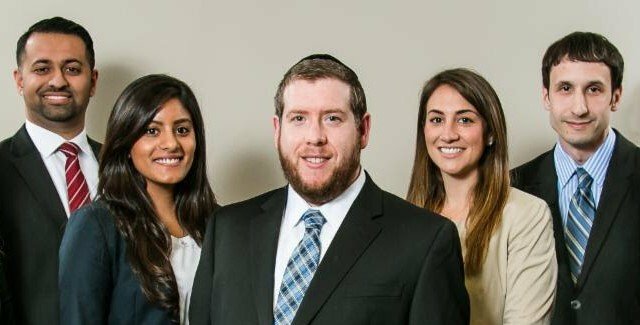 You would be best served to hire an experienced attorney to handle your case which will ensure that your case is handled in the best manner possible. Call our office now for a free consult about your Aggravated Unlicensed Operation case. Back when I was a young(er) lawyer, I was driving in slow-moving traffic through the not-so-lovely downtown area of a fairly sizeable city in Northern New Jersey with my left hand on the steering wheel and my right hand holding my cell phone when I heard a police officer yell something and knock on my window, signaling me to pull over. After I pulled over, he gave me the usual “license and registration” bit and I asked him what I did wrong. He told me he would let me know after he ran my credentials. After he verified that I wasn’t an axe murderer on the lam with open warrants in five states (and hopefully ran my driving record to see how squeaky clean it is – hey, knowing how to fight tickets has its perks!) he told me he was giving me a ticket for cell phone use. In the average case, it is advisable to accept the ticket and say nothing other than the customary “thank you” (though someone once pointed out to me how silly that sounds – this guy hands you a ticket that is going to cost you time, money and maybe points on your license and you thank him?) but something was off here. So I said “I wasn’t using my phone.” His response was “the law also prohibits other things, not just talking on your phone.” I was to soon learn what he meant. I entered a plea of “not guilty” an awaited my court date. Once the court date arrived, I waited my turn and told the Prosecutor that I was unwilling to accept a plea bargain because I was confident that I could not be found guilty of an offense I didn’t commit (boy was I wrong – but I was having a common delusion, namely, that justice is usually served). I told the judge I wanted a trial, and she said they would mail me a date, which they ultimately did. Well. Sorry for inconveniencing you by exercising my Constitutional right to a trial. “That includes talking, texting, and holding the phone,” she said. Now I ask you – does any rational definition of the term “use” of a cell phone (or most any object for that matter) include merely holding it? Do I use a fork by holding it? How about a hairbrush? A baseball bat? Etc. etc. etc. Yet, in this judge’s twisted mind, you can use a phone by holding it. At this point I knew I was going to be found guilty even before we left the starting gate. To make a long story a bit shorter, the Prosecutor called the officer, who testified that he saw me holding my phone while driving. That’s it. He didn’t say I was talking on the phone, texting, or even looking at the phone (which could conceivably be use, for example if I was looking at my digital calendar or an app). His testimony was so thin, I thought, that I wasn’t even going to bother cross-examining him. So I didn’t. I made a motion to dismiss for failure to make a prima facie case. The judge denied my motion (no surprise there). Once the Prosecution rested and it was my turn, I asked the judge if she would consider allowing my phone into evidence. She said she wouldn’t even entertain that notion. Then, I called the officer as my witness. She said that by waiving cross-examination I waived my right to call him as a witness. This is strange because I am pretty sure that every law student is taught that a defendant has the right to call witnesses in his defense (especially if the witness is standing right there and it wouldn’t impose any burden on the court). Ultimately she found me guilty of holding my cell phone while driving. But she didn’t stop there. She mentioned on the record that I am an attorney admitted to practice law in both New York and New Jersey. I surmise that she did this because non-attorneys are usually given more flexibility in terms of things like court procedure as it is understood that they are not familiar with all of the rules and regulations but she didn’t want me to get that flexibility. She didn’t want me to have that latitude in case I took an appeal. Then, she said something that actually upset me until I realized that it was another trick to try and make herself appeal or reverse-proof. She said that she considered my testimony not to be credible because I wasn’t looking at her while I was testifying. What a load of garbage. The reason she did this, I suspect, is because credibility determinations by a finder of fact (in this case the judge, in a criminal case usually the jury) are rarely disturbed on appeal. She figured that if she made it about credibility she wouldn’t be reversed on appeal. But she was wrong. The very next day I filed an appeal and ultimately (several hours of my time and $300 in appeal costs later) the appellate court found that she committed two grave errors by not allowing me to call the officer as a witness and not entertaining the notion of admitting my phone into evidence. The appellate court reversed the conviction. I think I have offered enough commentary so I’ll leave you to draw what you will from this story, if anything. That wasn’t a cell phone I was holding up to my ear – it was a black deck of cards! My Bluetooth got confiscated last week when I got busted for drugs in my car and they seized everything in it for evidence. PLEASE don’t give me a ticket…I already have a few DWIs and points on my license for tailgating, reckless driving, and speeding in a school zone, if I get 3 more points I’ll lose my license! The dog ate my Bluetooth. I can’t afford a headset because I am three months behind on child support. Siri told me I had an incoming call and said if I didn’t pick up the phone she’d leave me! I had to put on my seatbelt but I was driving so I had to keep one hand on the wheel so I rested my phone between my shoulder and my ear – but I wasn’t talking on it, I swear! I was just on my way to the store to buy a headset when you pulled me over!